To install support for additional locales and language dialects, select Language Support from the Installation Summary screen. Use your mouse to select the language for which you would like to install support. 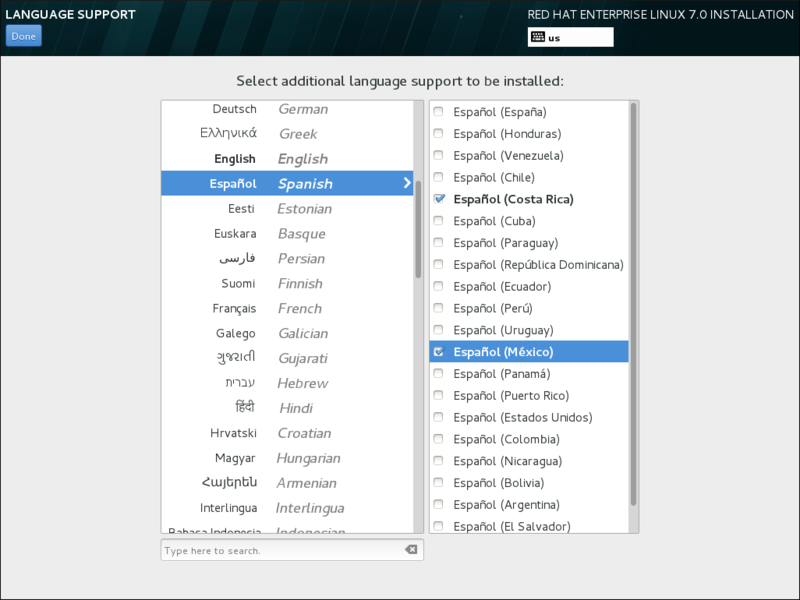 In the left panel, select your language of choice, for example Español. Then you can select a locale specific to your region in the right panel, for example Español (Costa Rica). You can select multiple languages and multiple locales. The selected languages are highlighted in bold in the left panel. Once you have made your selections, click Done to return to the Installation Summary screen. To change your language support configuration after you have completed the installation, visit the Region & Language section of the Settings dialog window.